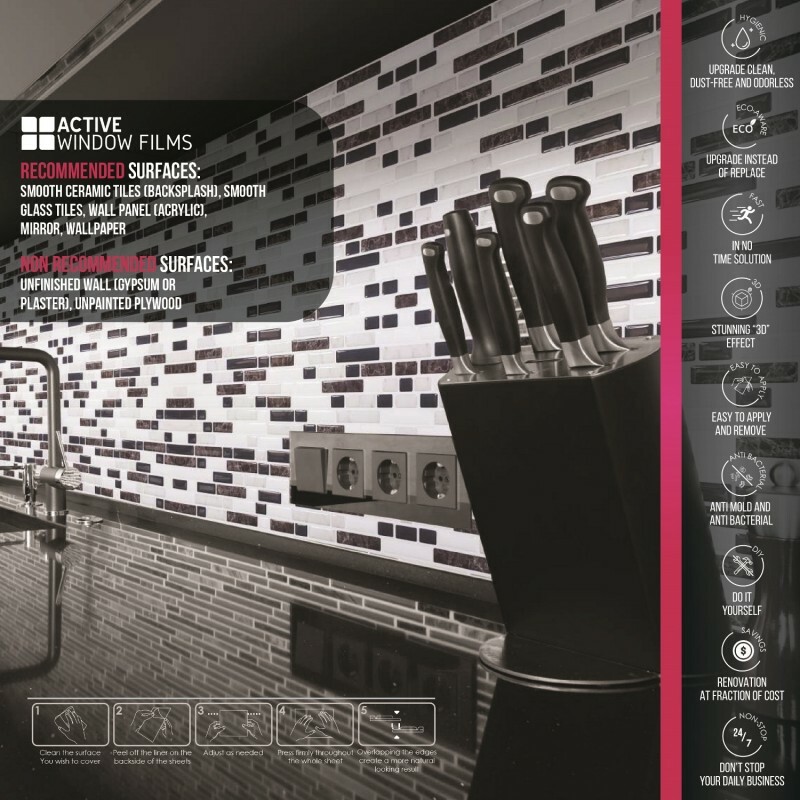 You are looking at Actives Self Adhesive Luxury Tiles; These tiles seamlessly recreate the natural tactile feel of real mosaic tiles, they are simple to install, simply remove backing sheet and push firmly on the wall. They can be cut with Sharp scissors or a craft knife, their incredible 3D textured appearance gives them a luxurious feel, that is identical to the original product, they are easy to maintain and can simply be wiped clean. When you decide to remove, simply heat them with a heat gun and peel off. 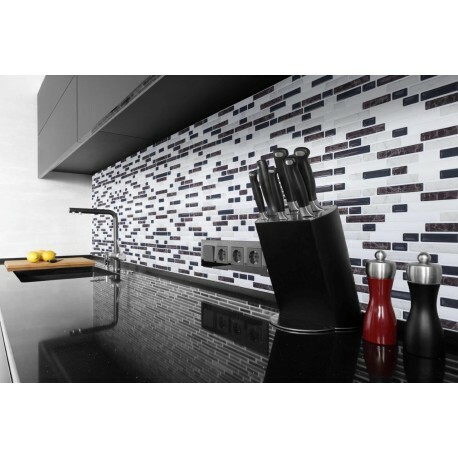 Ideal for splash backs to protect your walls in kitchens and bathroom, their super strong glue ensures they are durable. This product is backed by a 5-year warranty. 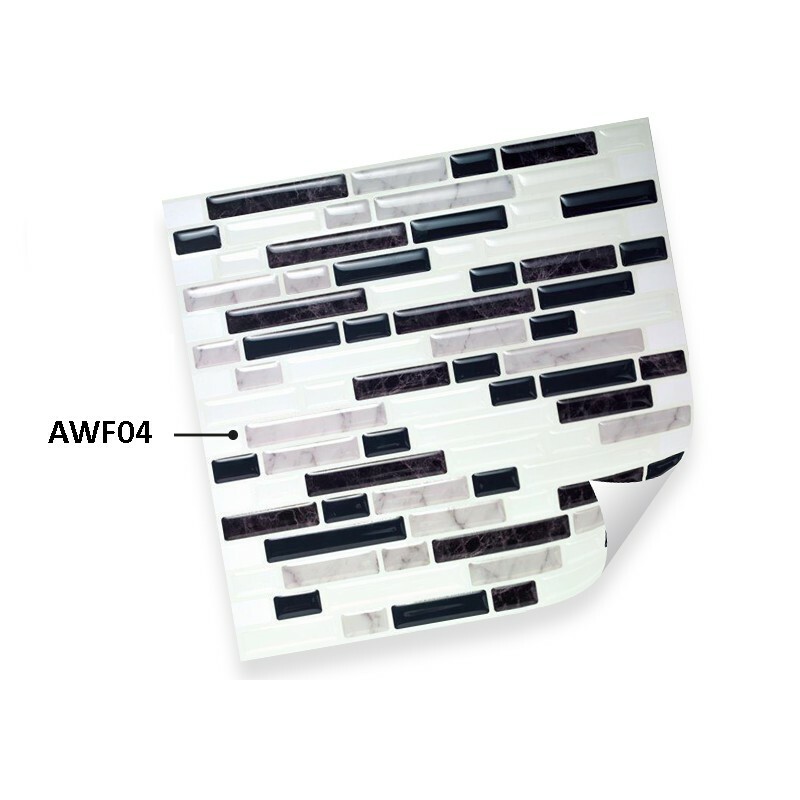 They are the highest quality vinyl self-adhesive tiles on the market, not to be confused, with cheaper printed vinyl tiles, these tiles are professional quality, the manufacturer made with a real deep 3D texture. 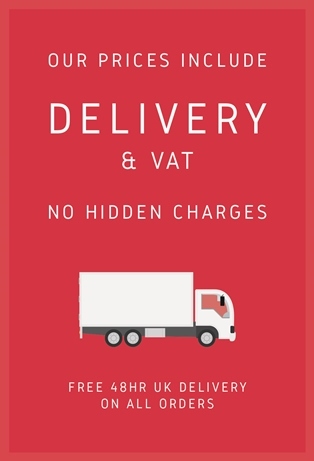 A fantastic way to renovate, with low cost, easy installation and low maintenance. 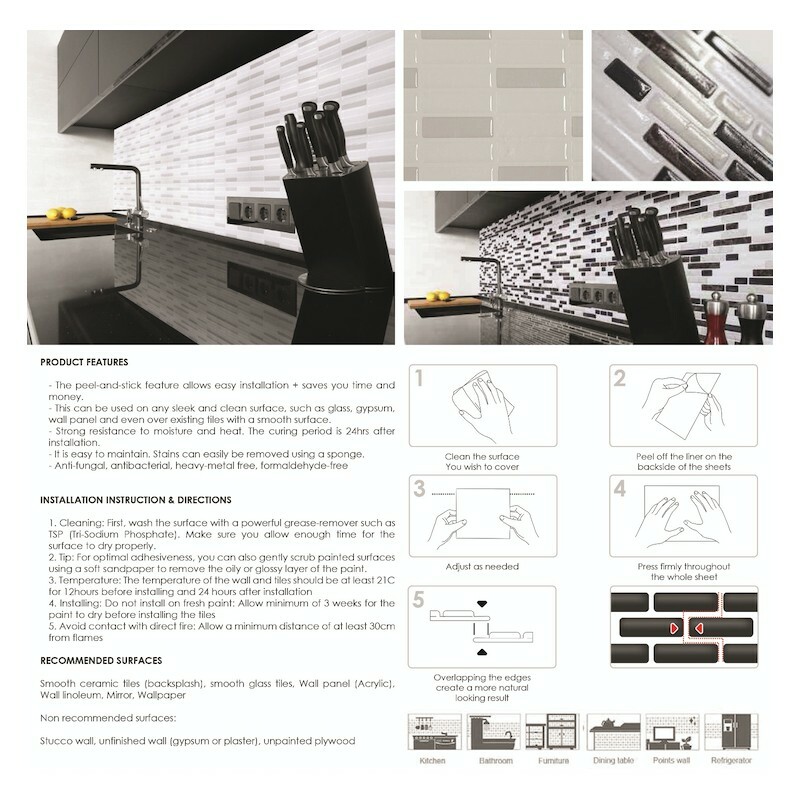 This product can be installed at a fraction of the cost of professional tiling and is so easy to install; anyone can do it. Instructions are provided; you will need a knife, ruler, pencil and hard card to install. Tiles are opaque white and not transparent.